Arrive at least 15 minutes early to class. Wear as little as comfortably possible and try to avoid cotton. Expect to sweat a lot so please hydrate thoroughly the day before. Inform the teacher of any injuries prior to class. Do not eat anything at least 2-4 hours prior to class. Bring a yoga mat, towel that covers the mat, and water (all available for rent/purchase onsite). Take advantage of the introductory specials for new students (one time only) and come as often as possible. Arrive on time for classes. 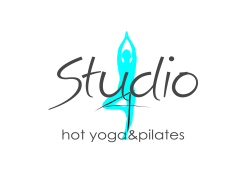 check in for class upon entering the building and prior to entering the studio room. Stay in the room the entire class. No cell phones/pagers allowed in studio room. No gum or food allowed in studio room. No shoes allowed in studio room. Treat other students as you wish to be treated. Have a positive attitude, open mind and committed heart and, above all else, have a good time!